"The Dirt" has created some amazing all natural Paleo Personal Care products that we love and Healthy Surprise is taking natural snacking to a whole new level! 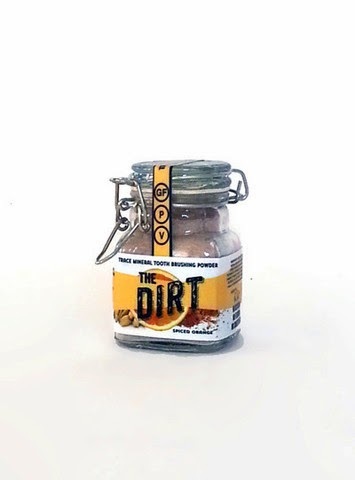 We are giving away two full sizes of "The Dirt: Trace Mineral Tooth Powder, and "Dirty Balm: Lip Treatment" and $50 in Healthy Surprise Gift Cards. I, personally, (Clare) have been great with my Paleo diet for a while now, but 2013 was the year that I would make a conscious effort to "paleo-ize" my beauty and personal care routine. It all started with going no-poo, switching to primal deodorant, wearing less makeup, using the oil cleansing method and swapping expensive serums and lotions with homemade natural remedies. I finally decided to try natural toothpaste but wasn't very impressed with what I could find in the stores. I love the orange/cinnamon flavor and even somehow love the way it looks like I am literally spitting "dirt" out into the sink when I am done brushing my teeth!! My teeth are constantly getting complimented by how white they are, and my dentist has told me that my teeth and gums look great! More info can be found on her website here: The Dirt ! "Did you know the glycerin in modern toothpaste can coat your teeth and prevent the natural process of re-mineralization that keeps your teeth strong and white? The dirt is made to boost your natural re-mineralization process and get your teeth back to their strong, sparkly selves. This powder is easy to use and will last you 3-6 months. It has a sweet spiced orange flavor that will leave your mouth feeling clean and spicy! Featuring: Bentonite Clay, Organic Saigon Cinnamon, Baking Soda, Myrrh Gum Powder, Organic Nutmeg, Sweet Orange Essential Oil & Organic Cardamon Essential Oil"
"You've tried every lip balm on the market but you're about to meet your match. Our lip balm uses traditional beauty secrets from around the world to provide the most effective lip care you have ever tried. This is the BEST lip balm on the PLANET! Featuring: Organic Raw Coconut oil, Organic Cruelty Free Bees Wax, Organic Grass Fed Ghee, Organic Cocoa Butter, Lavender Essential Oil, Carrot Seed Essential Oil, Palmarosa Essential Oil & German Chamomile Essential Oil"
All of the ingredients in their boxes are natural, gluten free, vegan, corn free, soy free, wheat free, dairy free and more. Now, even though Tonja and I are pretty much 100% Paleo 99% of the time....there are always times we treat ourselves. This company offers monthly subscriptions with different size boxes delivered right to your doorstep or single shot gift boxes. Each month the treats are different and there are no sample sizes...full size snacks only! 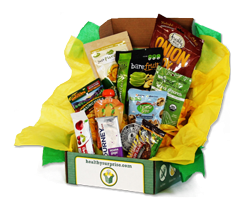 Its a great way for you to get exposure to new or hard to find snack companies that you may not have direct access to in your neighborhood. This box is best for someone who may be part of a household where there are some paleo people and some who aren't, but you still want them to eat clean! I got the healthy sized box and in the entire box, there may be only about 20-30% of the box that I will need to "share" because it uses organic cane sugar or organic black beans or rice in the ingredients. So really, not a complete FAILEO.... and I think, for a small office or household, these treats would be great for everyone to share! There are still lots of options of treats for those strict Paleo peeps and those who are more 80/20. Its all about what your body tells you... listen to your body and make the right decisions for you! 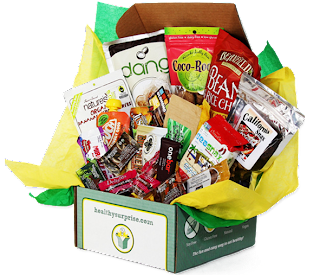 And if the fact that this box isn't 100% paleo turns you off completely... this box will still be a great gift for someone you want to take a step in the right direction with their health! (PS, the creator of this box is Paleo himself, so you know he is making sure there are a bunch of Paleo treats in there!) Two $25 gift cards are coming your way if you win! Want to win?!?! Enter the giveaway! The total value for this prize is over $100!